Sam proposes to Elisha at Fort Williams Park in Cape Elizabeth overlooking the Atlantic Ocean with the Portland Headlight in the distance. I was tucked away shooting with my long telephoto lens at 200mm pretending to take lighthouse shots when this moment happened. 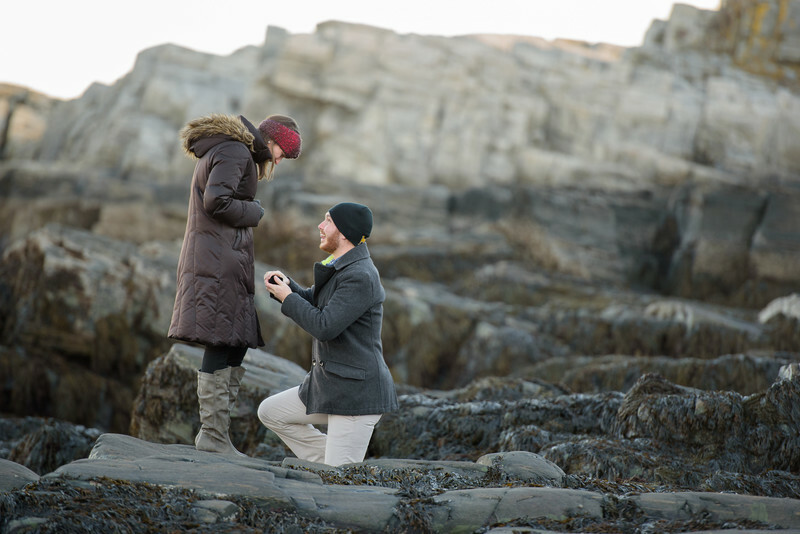 It all worked and she never know that the proposal at Fort Williams was photographed and captured in this way. This was such romantic and unforgettable moment. We followed up with some wonderful shots of them exploring the park together. The excitement was so fresh in the air you could feel it. Location: Fort Williams Park, Cape Elizabeth.